The former chief minister of Uttar Pradesh further said Amit Shah’s Kasab statement shows the cheapness of the saffron party. 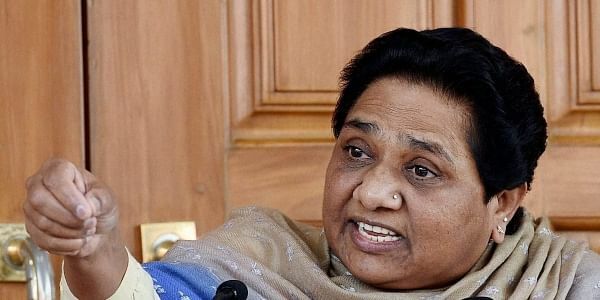 AMBEDKAR NAGAR: Launching a scathing attack at Amit Shah over his ‘Kasab’ remark, Bahujan Samaj Party (BSP) supremo Mayawati on Thursday said there is no bigger ‘Kasab’ (terrorist) than the Bharatiya Janata Party (BJP) president. “The entire nation knows that there is no bigger Kasab i.e., terrorist than Amit Shah,” Mayawati said while addressing rally here. The BJP president drew flak from the opposition for devising 'KASAB' as an acronym for describing Congress, Samajwadi Party (SP) and Bahujan Samaj Party (BSP). "In the last fifteen years, the Samajwadi Party and the Bahujan Samaj Party (BSP) governments have ruined Uttar Pradesh. The two were enough for destruction, however, a third one has also arrived. The population of UP must get rid of this KASAB, and by this I mean - 'Ka' for Congress, 'S' for SP and 'B' for...," Shah said while addressing a rally in Chauri Chaura. While he didn't clearly mention the BSP, there was no denial from his side when the audience shouted 'BSP'. Earlier in the day, Congress also condemned Shah’ remark, while stating that his ‘derogatory language was violation of the model code of conduct. “Only a failed leader can use such derogatory and cheap language,” Congress leader Randeep Surjewala told ANI. Congress leader Abhishek Manu Singhvi yesterday said that it was violation of the model code of conduct, adding that BJP president’s statement shows the communal mindset of the saffron party. "Amit Shah's statement shows party's communal mindset which is reprehensible. It was a clear violation of the model code of conduct. It was a violation of rule and law," Singhvi told ANI.